Keeping track of your diet and calories can be tricky sometimes. 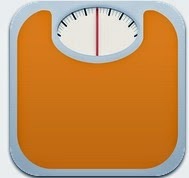 The iPhone has made calorie counting the easiest it's ever been with some essential apps. This App Guide will help you select the best Free apps for your healthy journey. Lose It! 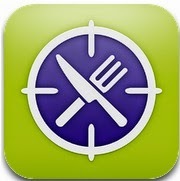 is one of the best apps out there to count calories. Millions have already fallen in love with it, including myself. The user interface is simple, yet still stunning. There is already a database of food and activity, but you can still add yours as a custom entry if you cannot find what you are looking for. You can even set up recipes for more complex foods. This app also includes a barcode scanner so that you can log packaged foods without the hassle of typing out information from the box. You can use Lose It! with or without an internet connection. 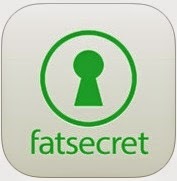 If you set up a free account on LoseIt.com you gain access to even more features! 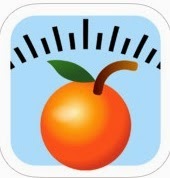 This simplistic app makes calorie counting fast and easy. Its food database is one of the largest out there with just over two million entries. It even comes with a barcode scanner so that you can easily find foods while you're preparing them. The recipe calculator is a fabulous feature that allows you to enter your own recipes to calculate the nutritional contents. Aside from being a calorie counter, this app also includes a database of exercises, goal tracker, reports, and a way to connect with friends. Don't forget to visit the website MyFitnessPal.com to sync and back up your data for free. This free food diary has some nice extra features. In addition to a large nutrition database of both restaurant and grocery store foods, you get a manual barcode input, exercise diary, and weight tracker. Sync your information online for access anywhere. Ever wonder what grades you would earn in school based on your diet? Wonder no more! With Fooducate you can track your diet, calorie quality, and even a bit of exercise. 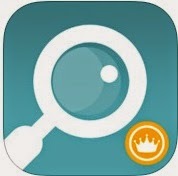 This app does include a barcode scanner, but you can also manually search for a product. One neat thing about this app is that you can learn about a food product's pros and cons. If your product isn't in the system you can submit it for analysis. This is not only a great way to count calories, but also helps you choose healthier alternatives. 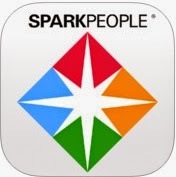 Users of the popular website SparkPeople.com will definitely want to download this app on their iPhone. If you’ve never visited the site, you can register and get a free account for maximum customization, or simply use this app without it. You get a food, calorie, exercise, and weight tracker. You can even have daily meal plans customized to your goals if you like. This free app is actually like three apps in one: a nutrition database, a food tracker to record your daily meals, and a restaurant locator. Track not only calories, but also proteins, carbs, and fats. The nutrition database is powered by CalorieKing, and it includes nutrition information from all the major restaurant chains as well as most foods found in grocery stores. If you want to make healthier choices when you eat out, GoMeals can help. When it comes to results, Jillian Michaels never fails. Use this app to count your calories and track your fitness. It also includes step-by-step videos from Jillian, slimming recipes, a sample meal plan, and a sample fitness plan. If all that isn't enough for you there is a subscription option of $3.99 a week that will grant you access to even more content. This app doesn't technically keep track of your calories, but if you're looking for a fast way to check calories then look no more! The CalorieKing Food Database is deemed America's most reliable and contains over 70,000 foods. It even includes over 200 fast food chains and restaurants. In addition to providing you with calorie information, it also lists specific details such as the amounts of protein, fiber, saturated fat, trans fat, cholesterol, sodium, and alcohol in each food item.